Strawberries Cheese Cake is a great dessert for many occasions and taste fantastic! 1.) In a small bowl mix together your cream cheese and powdered sugar. Cut a few pieces of chocolate into it also and mix well. In a separate bowl place 2oz of chocolate, heavy cream and place it in your microwave for 30 seconds, or until it melts. Then mix well. 2.) 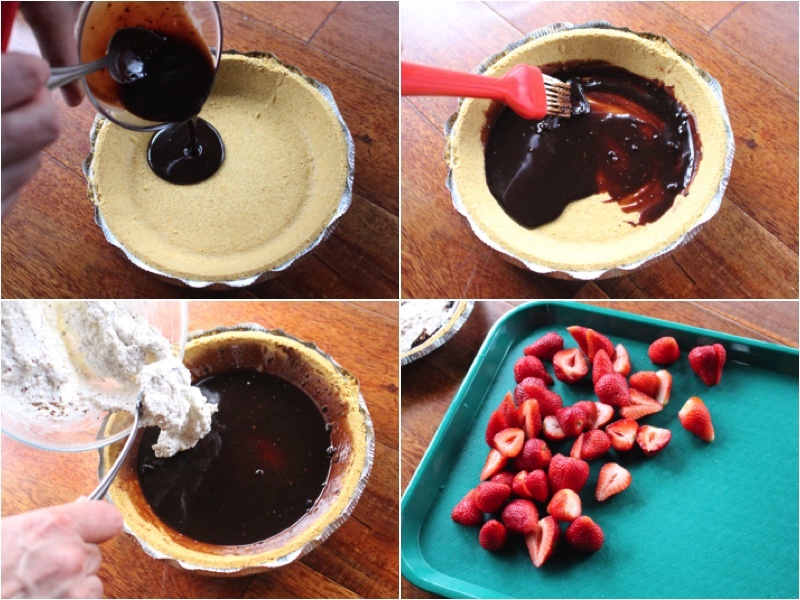 Pour your heavy cream/chocolate mixture into your pie crust. 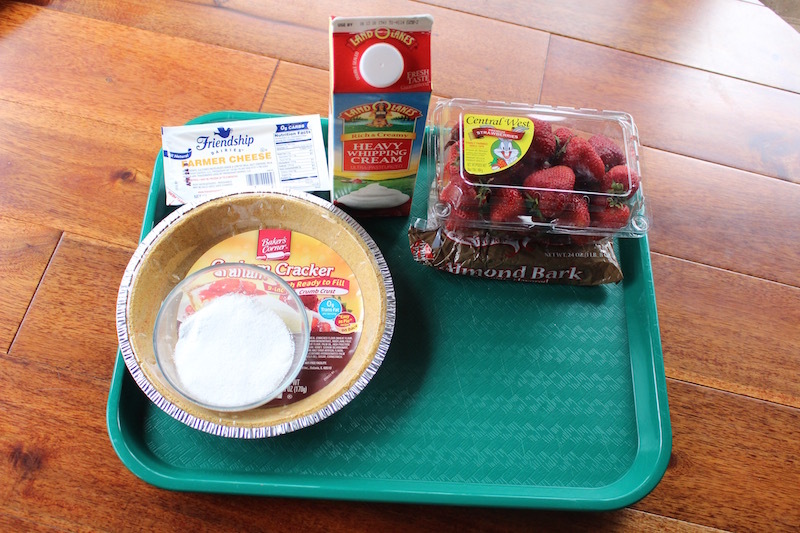 Then spread your cream cheese mixture onto and cut your strawberries into 1/2’s. 3.) Place your strawberries on top of it and add leaves around it for decoration. (Refrigerate it for at least 30 minutes before serving) Place on a serving dish and enjoy. In a small bowl mix together your cream cheese and powdered sugar. 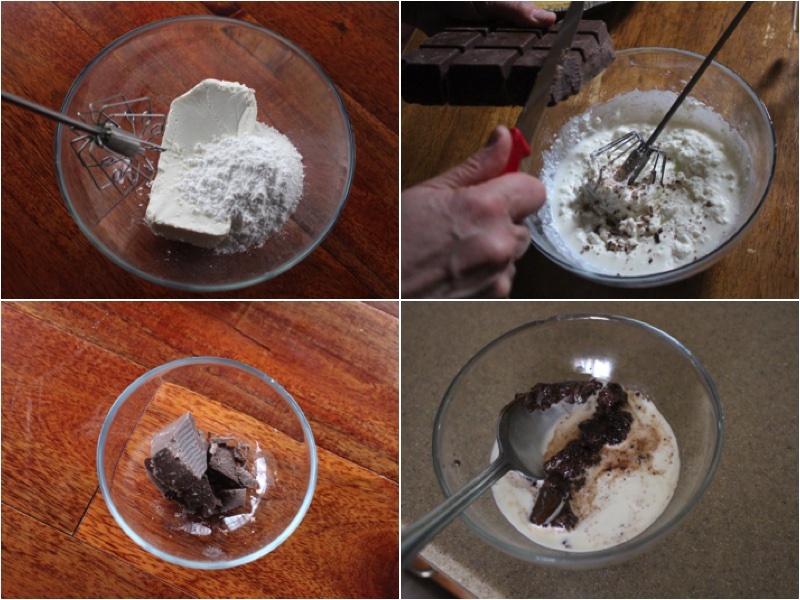 Cut a few pieces of chocolate into it also and mix well. In a separate bowl place 2oz of chocolate, heavy cream and place it in your microwave for 30 seconds, or until it melts. Then mix well. 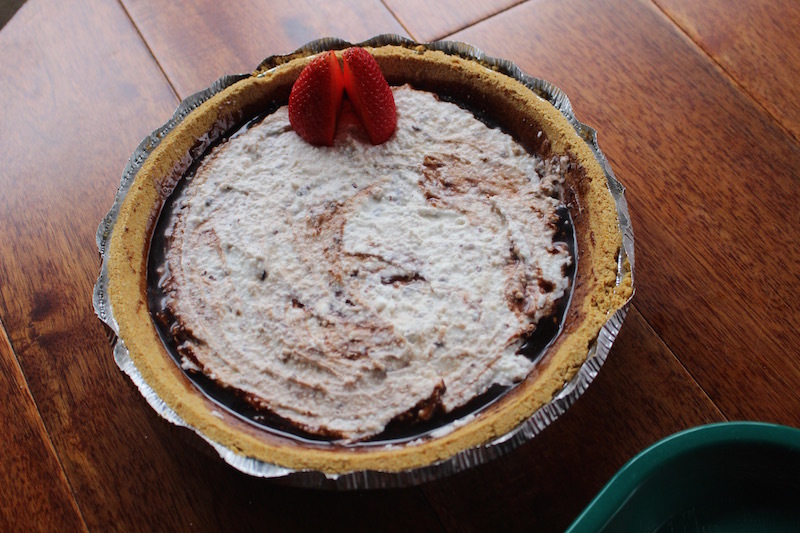 Pour your heavy cream/chocolate mixture into your pie crust. Then spread your cream cheese mixture onto and cut your strawberries into ½'s. 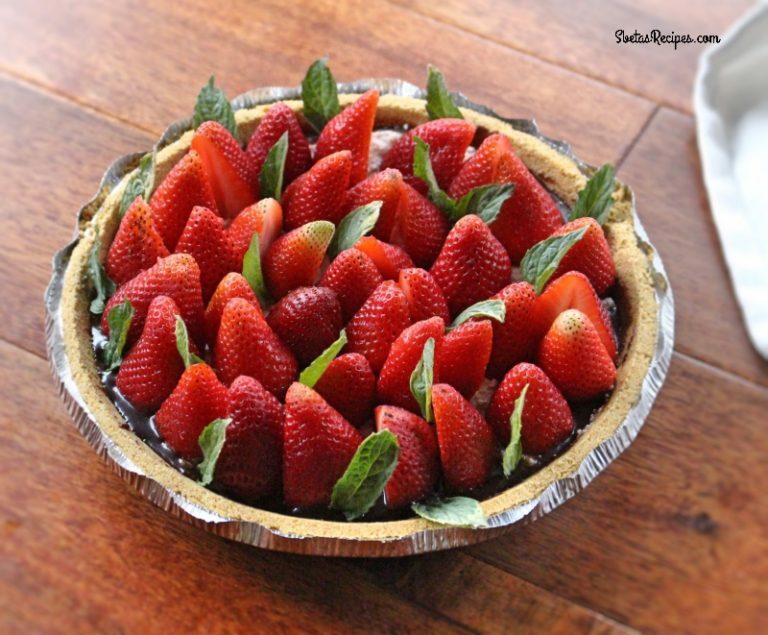 Place your strawberries on top of it and add leaves around it for decoration. (Refrigerate it for at least 30 minutes before serving) Place on a serving dish and enjoy.